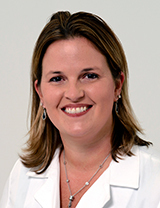 The 2018 winner of the Women of Innovation Award for research and leadership excellence is Dr. Christine Finck of UConn School of Medicine and Connecticut Children's Medical Center (Connecticut Children's Photo). 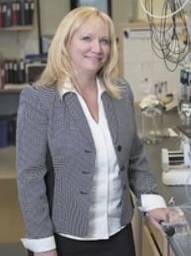 Dr. Christine Finck of UConn School of Medicine and Connecticut Children’s Medical Center was honored with a Women of Innovation award by The Connecticut Technology Council (CTC) for her research innovation and leadership. Finck serves as an associate professor of pediatrics and surgery at UConn Health and surgeon-in-chief at Connecticut Children’s. 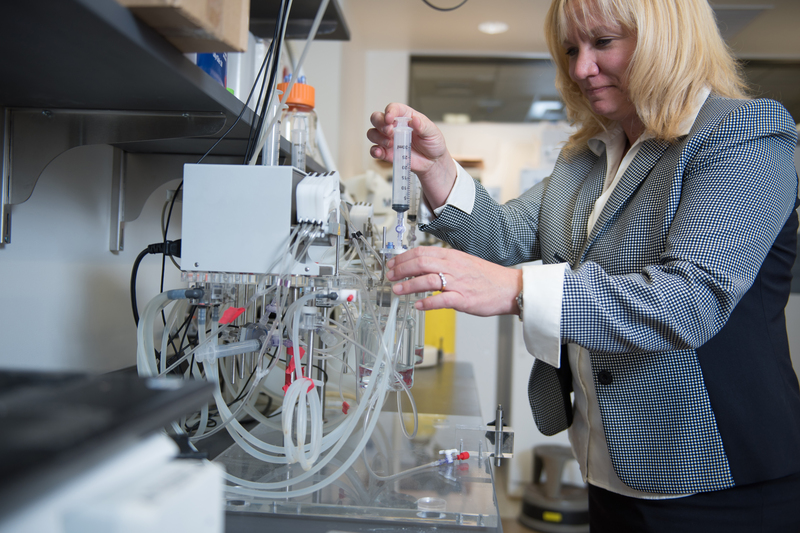 Her novel research is focused on identifying and developing new treatments for a variety of pediatric and neonatal diseases that affect the lungs and esophagus. On March 28 Finck was one of eight award winners of 50 finalists announced at CTC’s Women of Innovation awards gala. 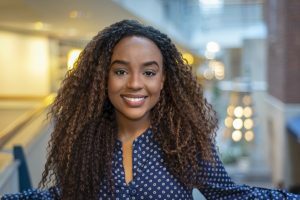 Each year CTC’s Women of Innovation program celebrates the growing network of women in STEM in the state who are creating tomorrow’s advancements through their efforts in Connecticut today. Honorees range from scientists, researchers, and academics to manufacturers, student leaders, entrepreneurs and technicians. Women of Innovation finalists are nominated by their peers, coworkers, and mentors, and are selected based on their professional experience, history of innovation, ability to think creatively and solve problems, and demonstration of leadership. 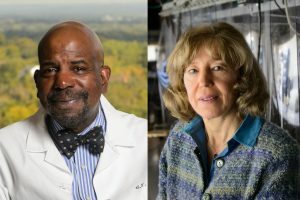 Finck was nominated by Dr. Marja Hurley, professor of medicine and orthopedics, and The Group on Women in Medicine and Science (GWIMS) at UConn Health. Additionally, at the CTC Women of Innovation event UConn Health’s Dr. Katherine Coyner, an orthopedic surgeon, was honored as a finalist for academic innovation and leadership.